Yakima Bait Co.'s Worden's Lil' Corky adds color and flotation to any drift rig. Fished alone or with bait, there is a perfect Lil' Corky for any water or light condition. Now available in over 146 colors including 7 UV finishes and 6 sizes. Size 8: 1/2" diameter. Yakima Bait Co. &apos;s Worden&apos;s Lil&apos; Corky adds color and flotation to any drift rig. 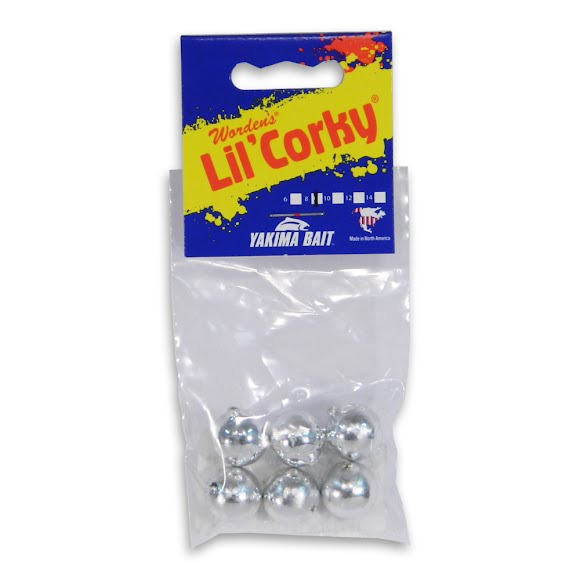 Fished alone or with bait, there is a perfect Lil&apos; Corky for any water or light condition. Now available in over 146 colors including 7 UV finishes and 6 sizes. Size 8: 1/2" diameter.